In 2000 Tori decided upon Southwest Colorado as a future home, a move that took seven years. Being that it was near impossible to seek an art degree while living on an island in Northwest Washington, her aim was to wait until the move to Durango Colorado was completed in 2007. In 2011 she received her B.A. in Studio Art. Since 2004 she has pursued encaustic painting studying at Pratt Fine Art in Seattle with Jef Gunn and Larry Calkins, and later in Santa Fe with Ellen Koment and Shawna Moore. And more recently, in 2015, has studied at R & F Paints in New York on teaching encaustic painting. Her interests lie in minimalism, the exploration of multiples versus the individual, as well as conceptual art. Her work materials often drift towards mixed media finding the challenge fulfilling to bring together disparate materials to convey her ideas, while pushing her way into multidisciplinary arts. Her current work addresses the issues of communications which includes the idea of our collective cultural overuse of particular fonts, such as Arial. She works from her home in any space that is not covered in construction dust, squeezes in time working with her two donkeys as her hiking companions, tends to her large food growing area during the summer months and skiing and traveling with friends in the winter. Just day to day living is art. 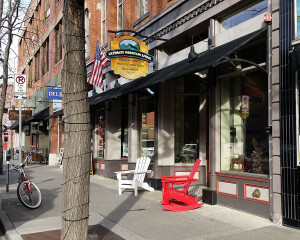 Gallery Representation at Ultimate Mountain Living – 858 Main Ave., Durango CO.